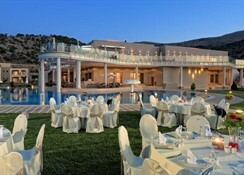 Royal Heights Resort, a charming hotel built on a hill side with stupendous view of the Cretan Sea, offers its guests a unique accommodation experience. 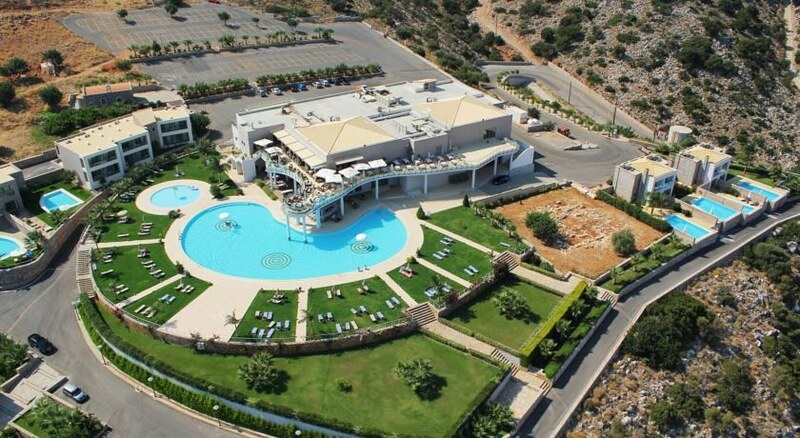 It is situated in the area of Pezoula in Malia, on an amazing privately-owned hill of 60 Acres of land with a panoramic view of the breathtaking big blue. 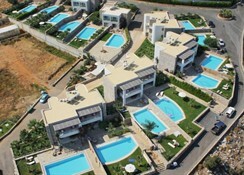 It is located just a 2-minute drive from the beautiful beach of Malia, 20 minutes by car from the International Airport â? 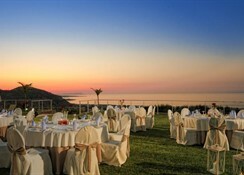 ?Nikos Kazantzakis in Heraklion and a 5-minute drive from the Crete Golf Club in Hersonnisos. 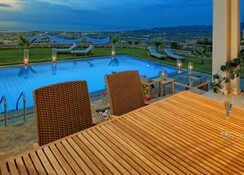 30 luxury villas and suites stand out for their elegant decoration and supreme comforts. The 20 charming villas with private pools promise endless hours of relaxation overlooking the green-blue sea. 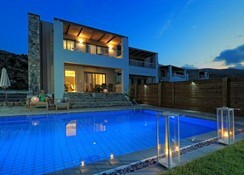 Both villas and suites maintain contemporary aesthetics with prevailing bright colours and distinct luxury. The fine decoration, the subtle details, the welcoming environment and the magnificent view promise to turn your vacation into real pleasure. With both outdoor and indoor pools, Royal Heights Resort works equally well as a summer and a winter retreat. Escape to absolute gastronomic delight in the international restaurant and bars. The cuisine of the a la carte restaurant offers exquisite Mediterranean flavours attended by our Chef, complemented by a fine selection of wines. Special emphasis is given to the quality and freshness of ingredients for the preparation of all dishes. Our younger guests (up to 12 years), can use the indoor childcare centre where supervised activities take place throughout the day.